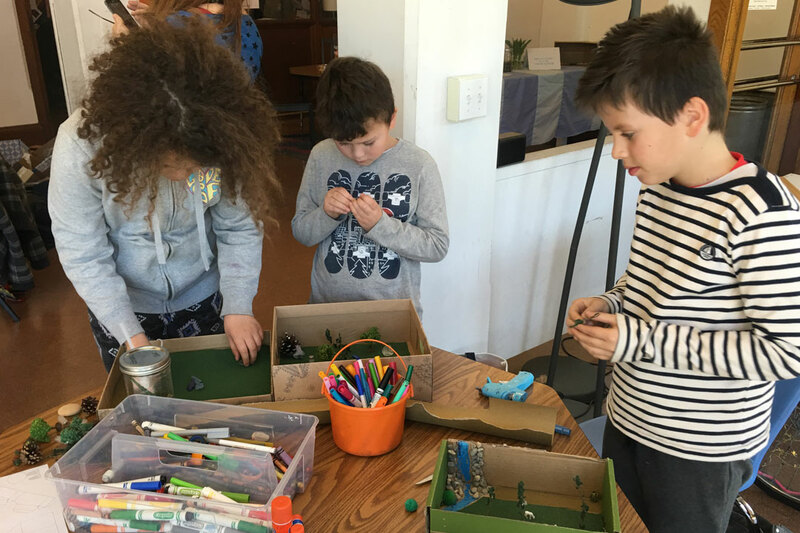 The RAC Creativity Lab at Riverside Art Center creates innovative and interdisciplinary hands-on experiences for kids in schools and other neighborhood spaces. RAC is dedicated to helping kids grow creative confidence and problem-solving skills, so that they can dream of, and create, powerful futures. 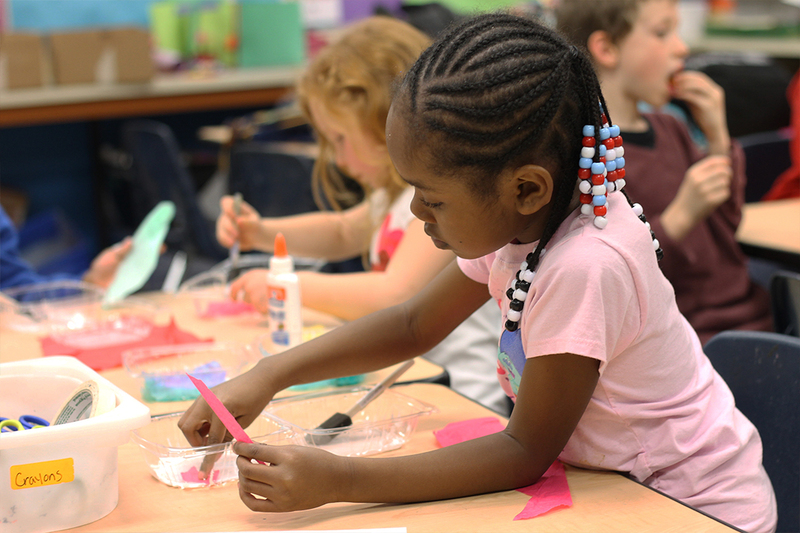 Riverside Arts Center’s RAC Creativity Lab is in every Ypsilanti elementary school! We are collaborating with Eastern Michigan University’s Bright Futures program to bring integrated, creative learning projects to Pre K-5th graders throughout Ypsilanti, FREE of any cost. Second Saturdays of the month 11am – 2pm | All Ages (Ages 16 and under need adult supervision) FREE (Suggested donation–$5) | No registration necessary, just drop in! Come get creative at Riverside Arts Center on Saturday afternoons! Join your friends and neighbors as we explore a new project each week. All ages welcome— no previous experience is necessary, no supplies needed. Play, explore and connect with your neighbors at this creative gathering. Thursdays 10-11 am FREE (Suggested donation–$5) Explore materials, movement and sensory play in this art adventure designed especially for young children and their caregivers. The exploration is new each week— we’ve built cardboard boats, painted with our hands, worked on our dance moves and more. Join us! 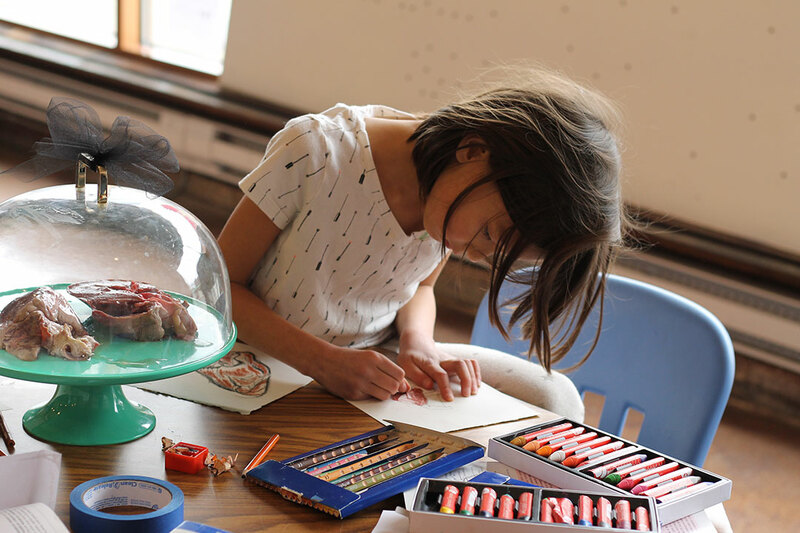 Come spend a week of summer camp with our teaching artists exploring the world around us! Check out what we did this past summer: FLY Young Sculptors (July 9-13), FLY into the Natural World (July 16-20) and FLY Art Games (July 23-27). Check back soon for information on 2019 Summer Camps!